Emma Barton (1872-1938) was born in Birmingham in 1872. Her parents lived in back-to-back housing in Aston before moving to Camp Hill in 1877. 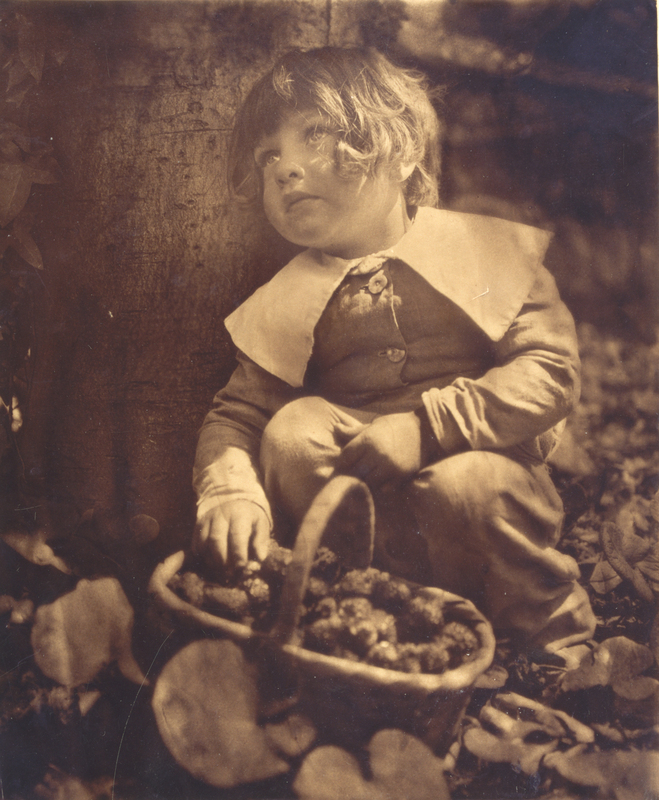 Emma’s father died in 1885; her mother re-married in 1890 to Edgar Birchley, who brought Emma into contact with photography – he had been brought up in a photographic studio run by his parents in Deritend, Birmingham. Birmingham Archives & Heritage owns a selection of Barton’s photographs, which she began taking in the mid-1890s (MS 2396). Throughout her career she focused on portraits, producing these using simple equipment usually taken somewhere within her own home or garden. Her models were her family and friends and she regularly photographed her own children from infancy to young adulthood.